The ETF industry is growing more competitive as companies around the globe try to quickly expand to tap into trillions of dollars in potential investment assets. “The winners and losers are being more clearly identified; we felt the ability to scale quicker led us to the opportunity to look at inorganic or M&A transactions, so buying Source in Europe, which was the largest independent player in that market… and closer to home here in the U.S., the announcement to purchase the Guggenheim ETF business, which we hope is going to close later this year,” Dan Draper, Global Head of ETFs for PowerShares, said at the Inside ETFs 2018 conference. The acquisition of these varying types of ETF business would help Invesco PowerShares shore up the gaps in these two ETF markets. “So for us, to really get the large, institutional side products for Europe, that’s where that scale happened. In the U.S., now Guggenheim, that is all about content. 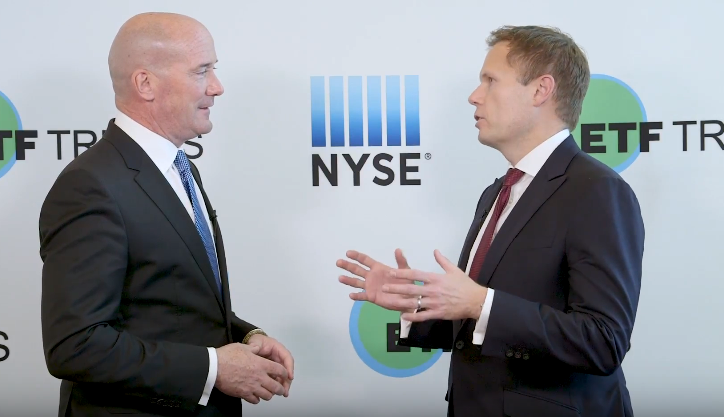 This incredible ETF business that Guggenheim has built through Rydex and Claymore businesses, the equal-weight S&P 500 – a simple but one of the most effective smart beta strategies,” Draper said.